I have a super sparkly China Glaze oldie to share with you today. This one is definitely eye catching, and I think one that most of us nail polish addicts will absolutely love. 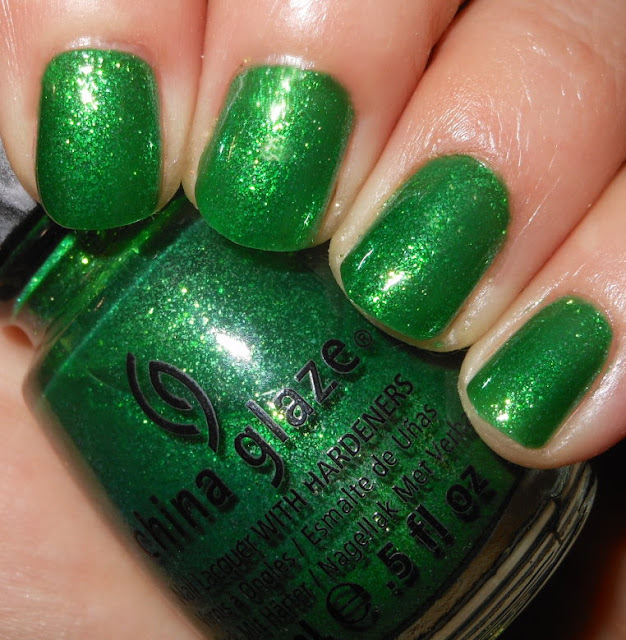 Running in Cirlces is a true green base with matching fine green glitter. 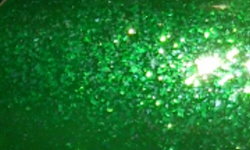 Color: This is a beautiful true green glitter. I don't own any other green glitters like this in my collection. This is a richly pigmented color and oh so sparkly! Formula: Running in Circles has a nice, smooth, and easy to apply formula. I used 3 coats above. Price: You can find this on various e-tailers in the $4-$7 range. Overall: Stunning green glitter that is definitely worth a spot in every nail addicts collection. I love that gorgeous green polish! So gorgeous! This is a very Christmassy green to me.